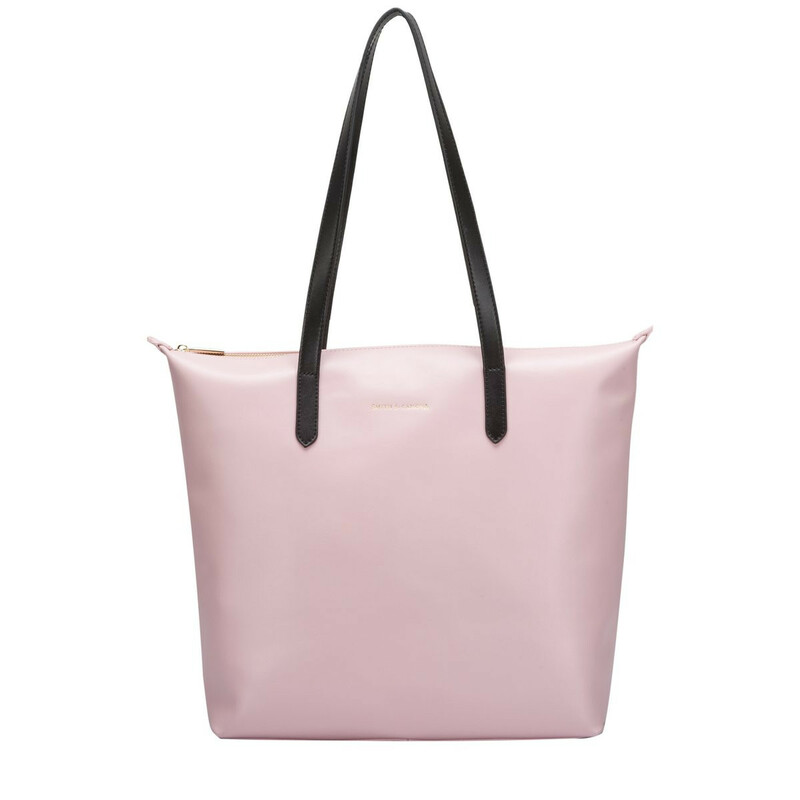 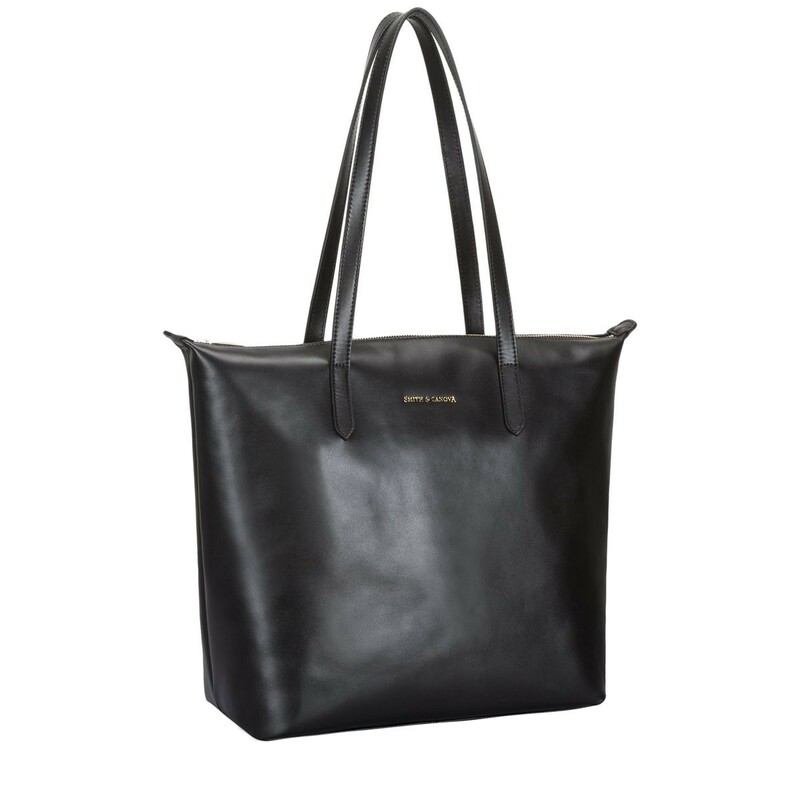 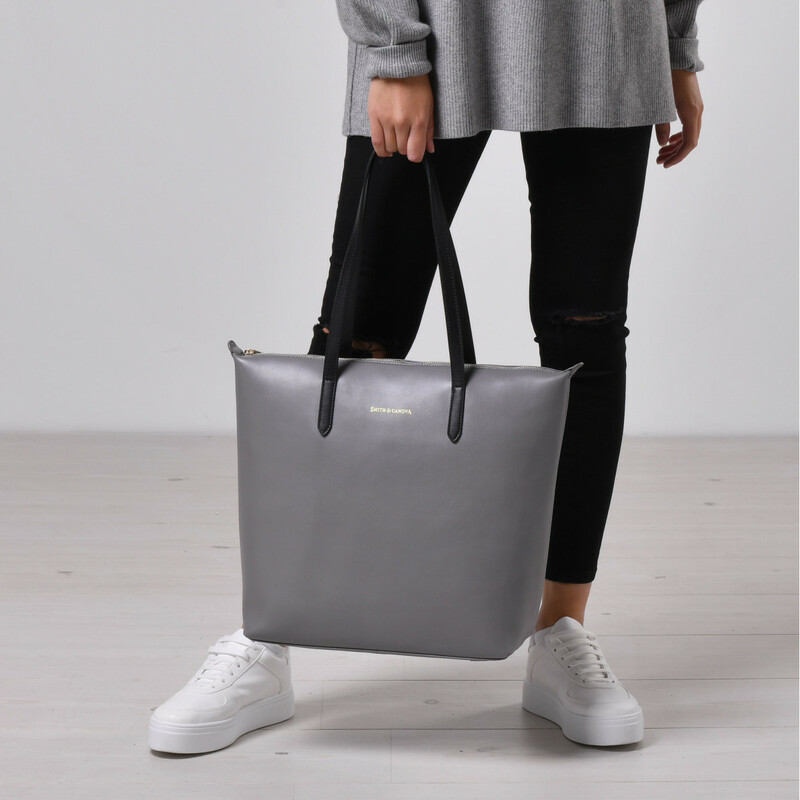 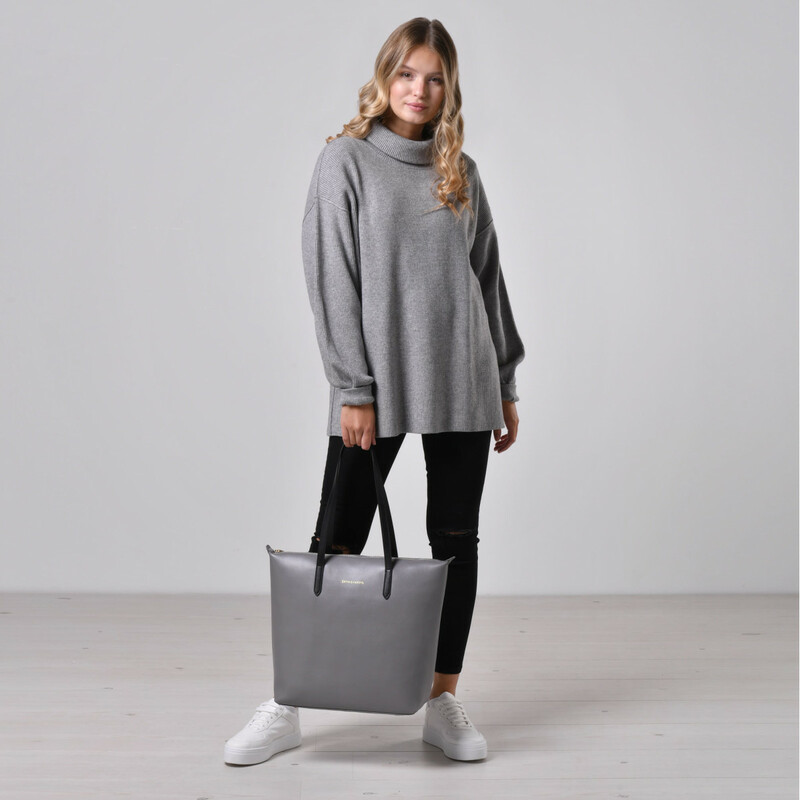 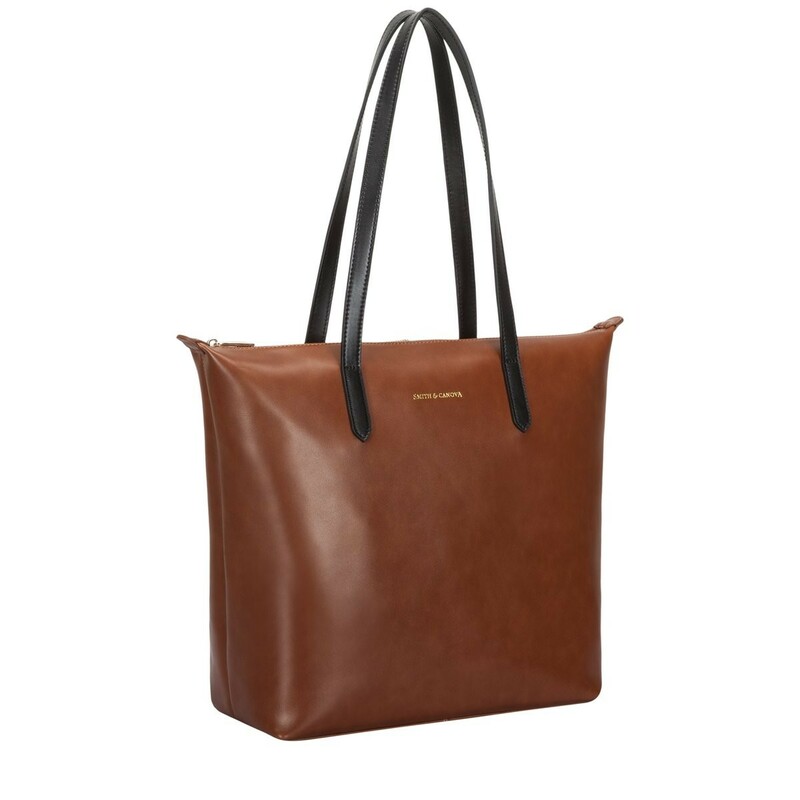 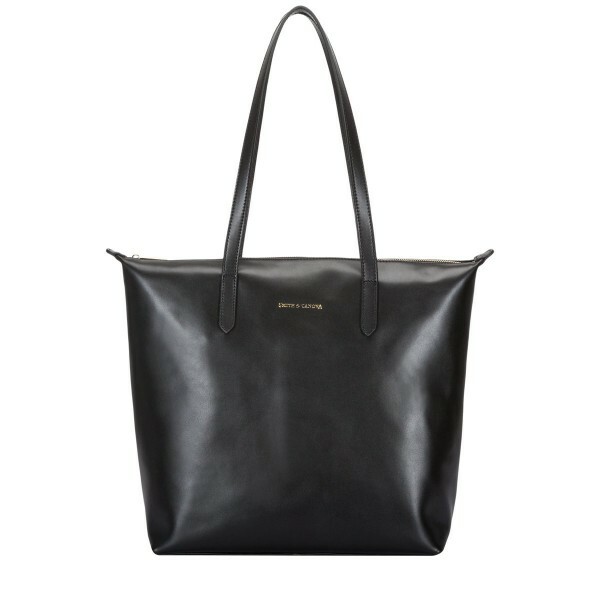 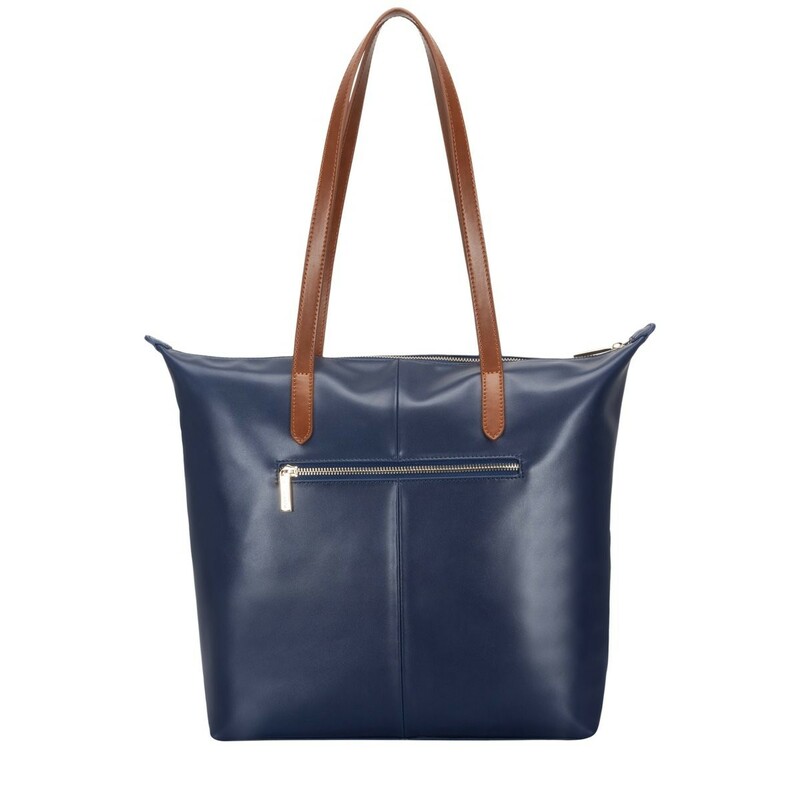 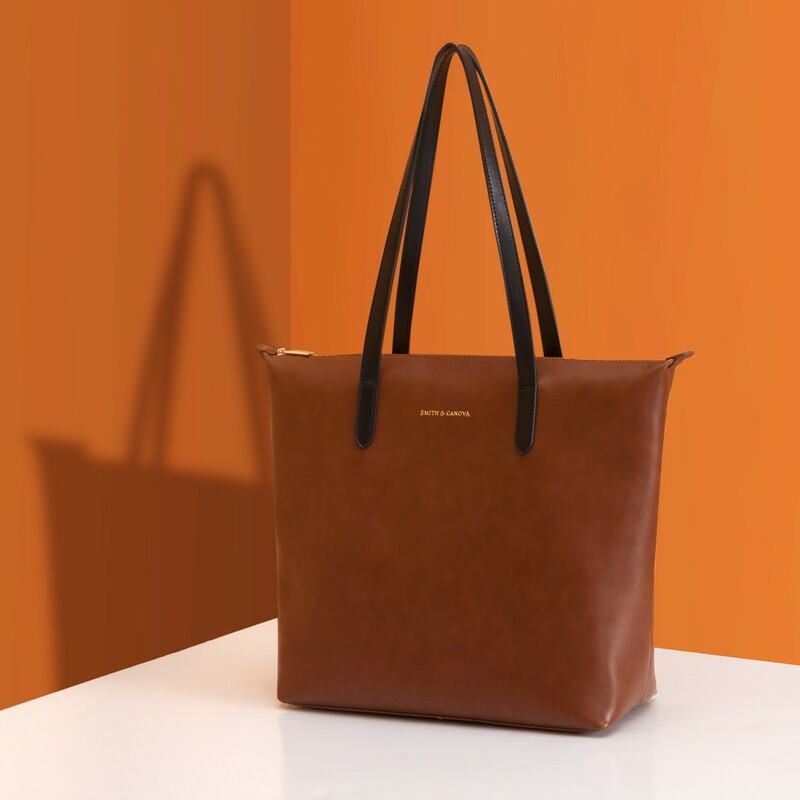 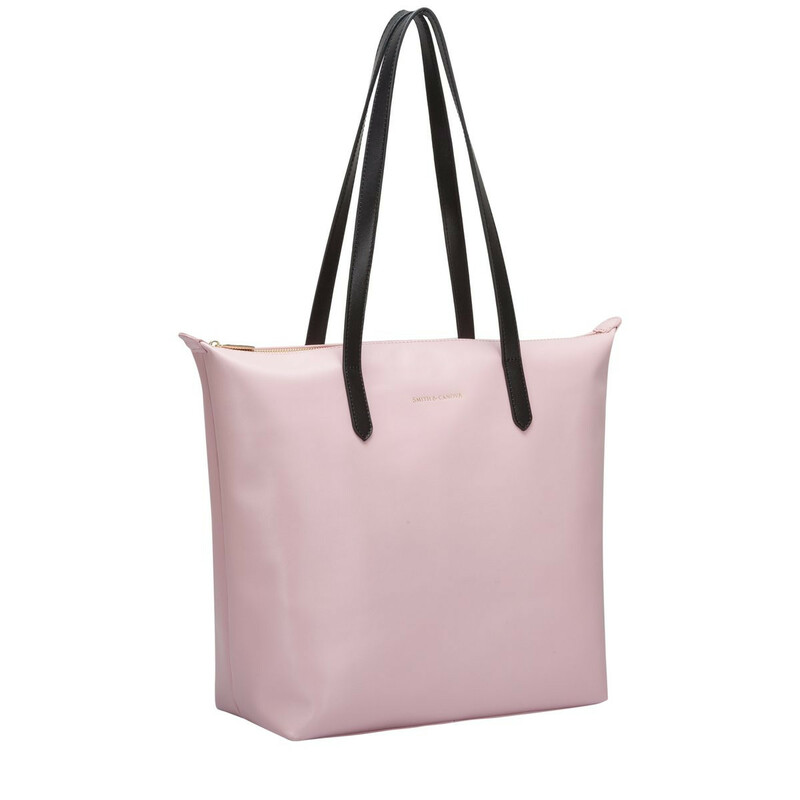 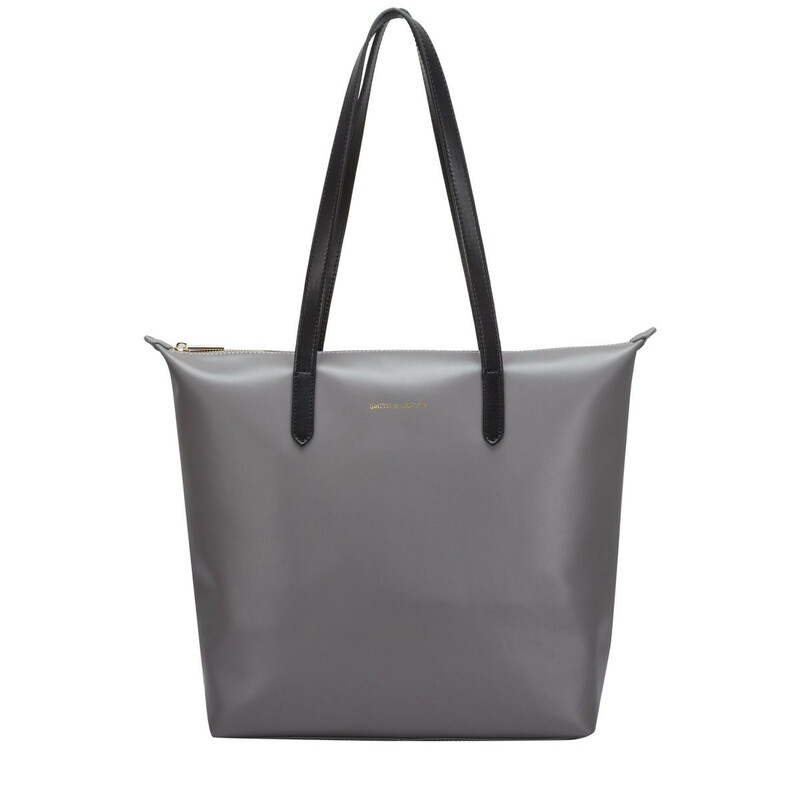 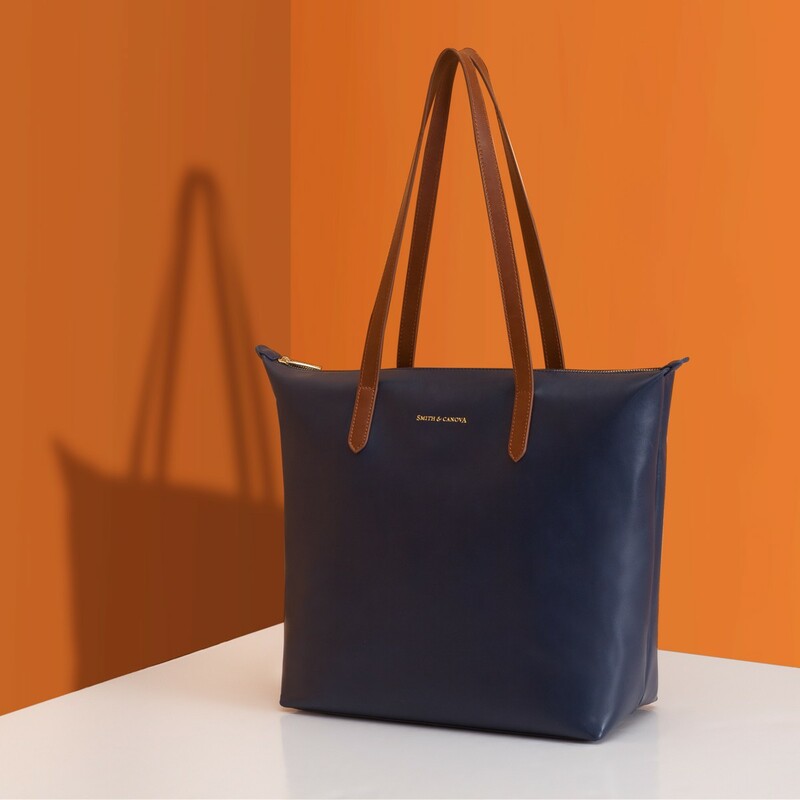 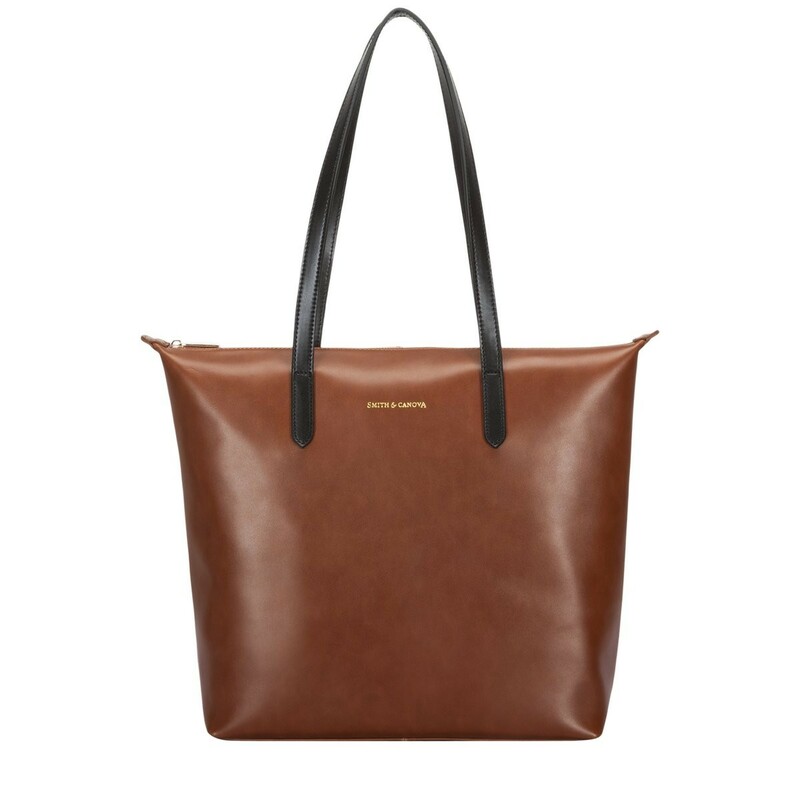 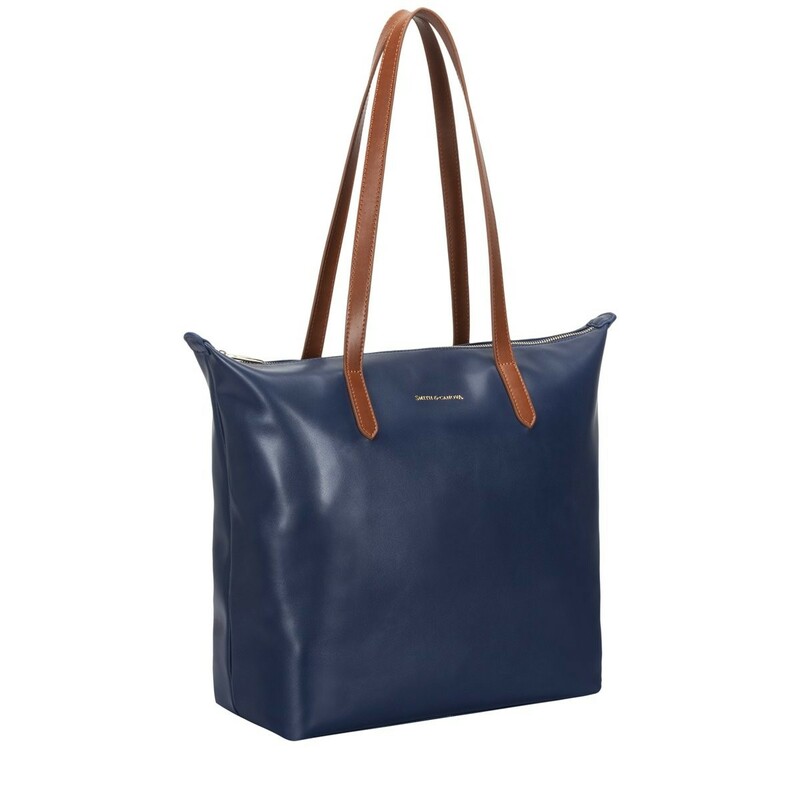 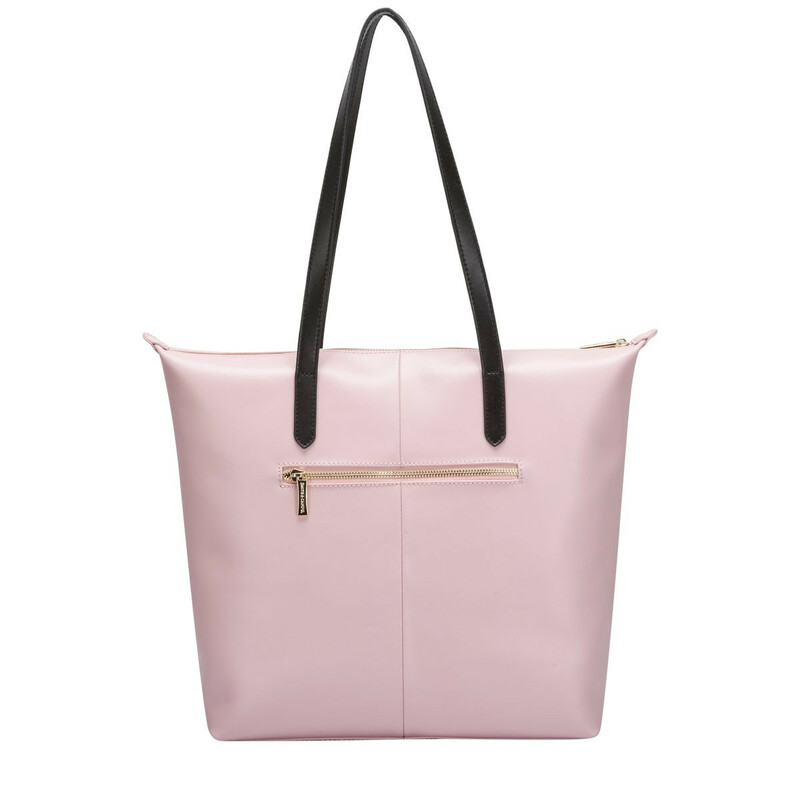 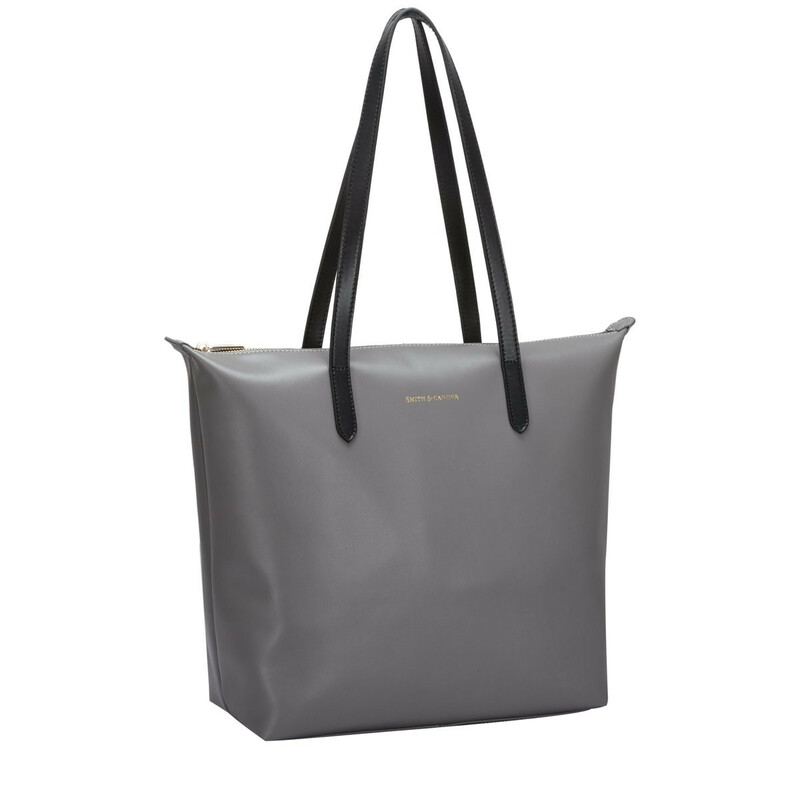 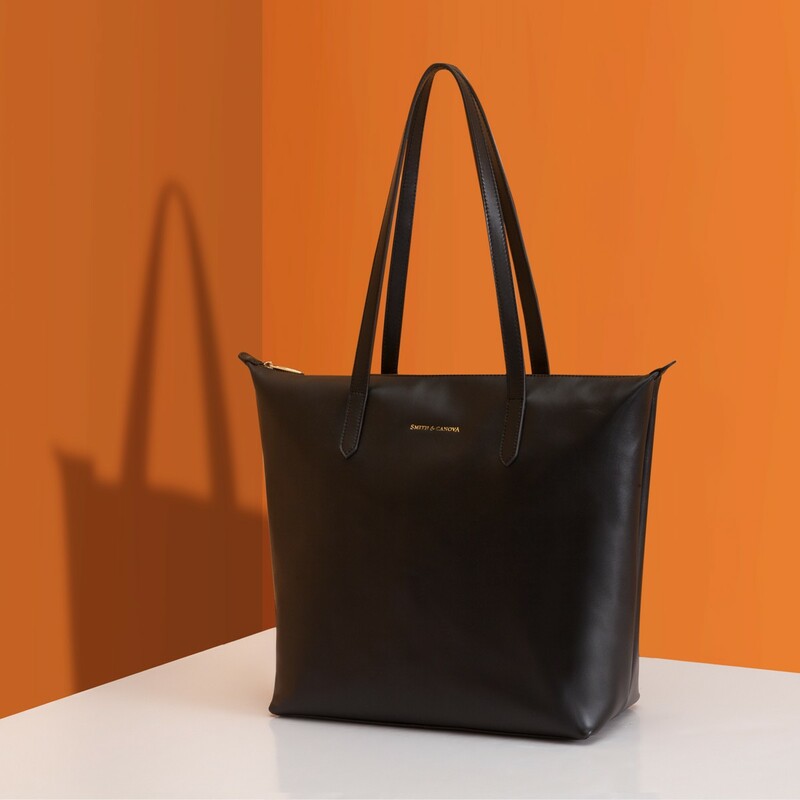 This stylish, smooth leather tote bag is a sophisticated style, perfect for elevating your outfit. 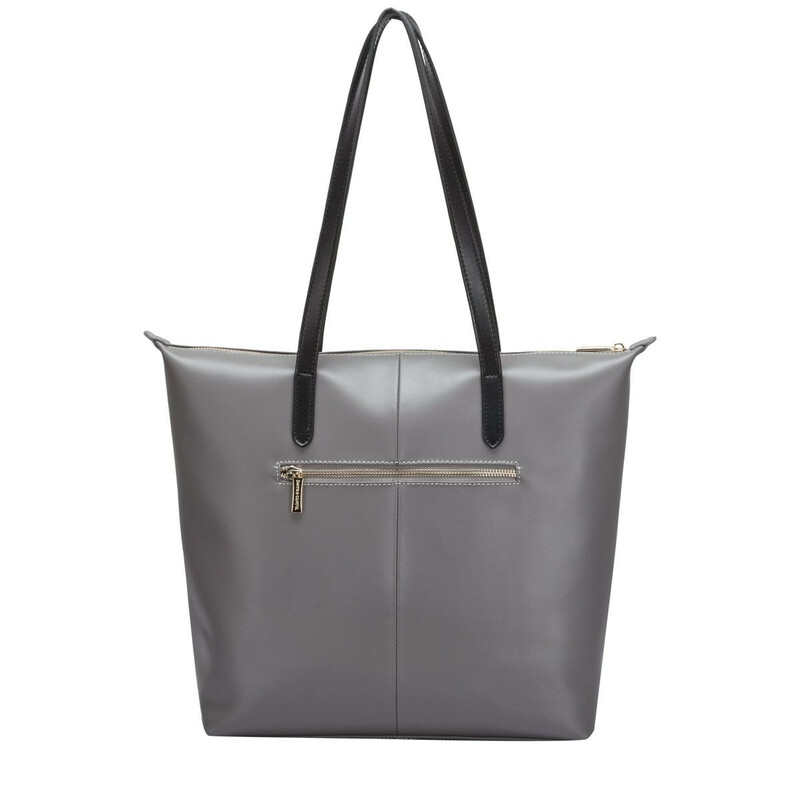 The tab detail adds to the minimalistic design and the flashes of gold metal hardware creates a feminine touch. 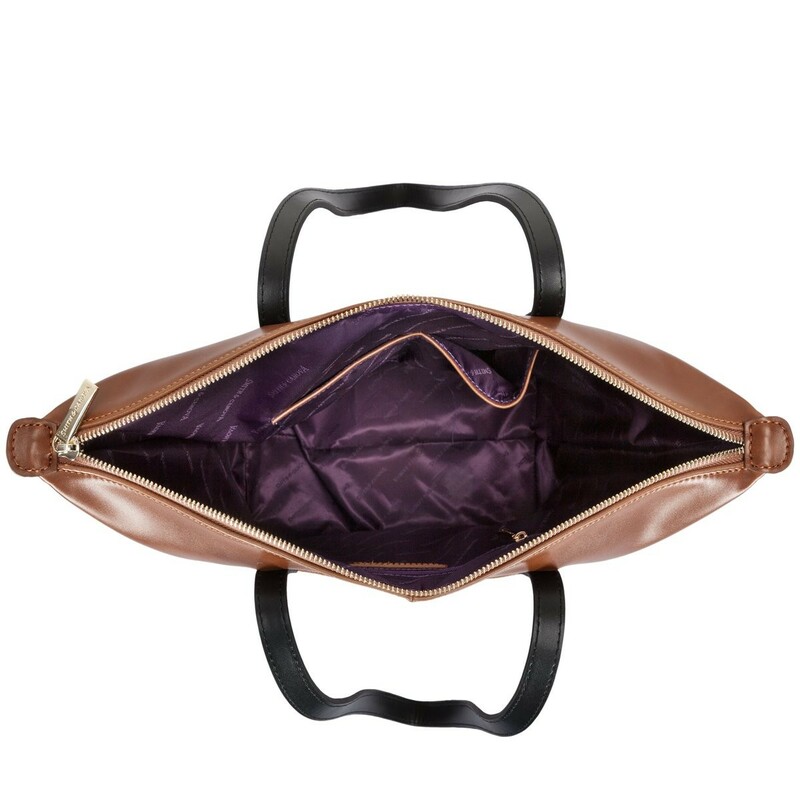 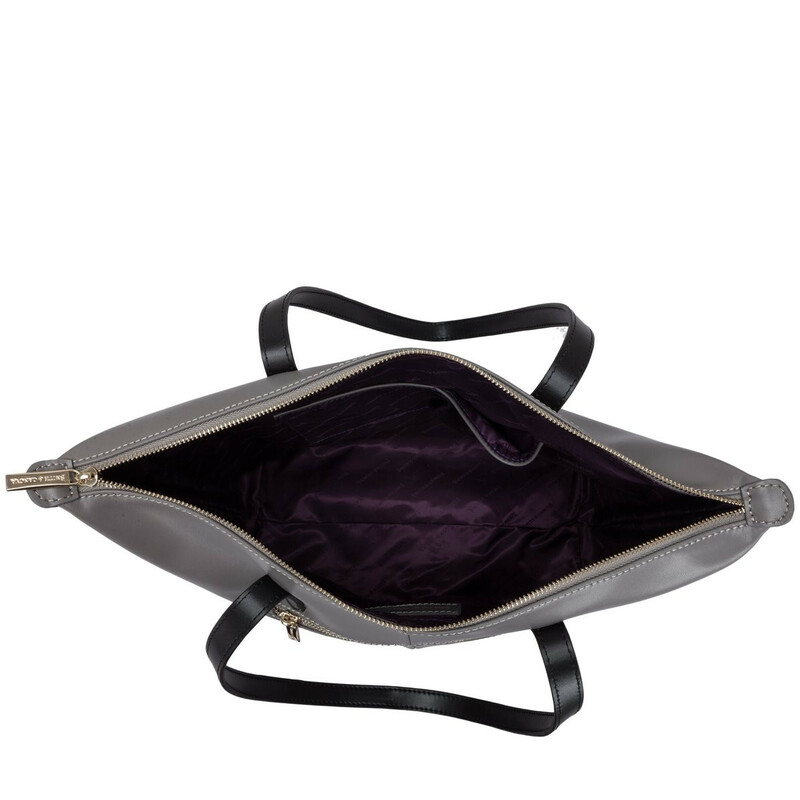 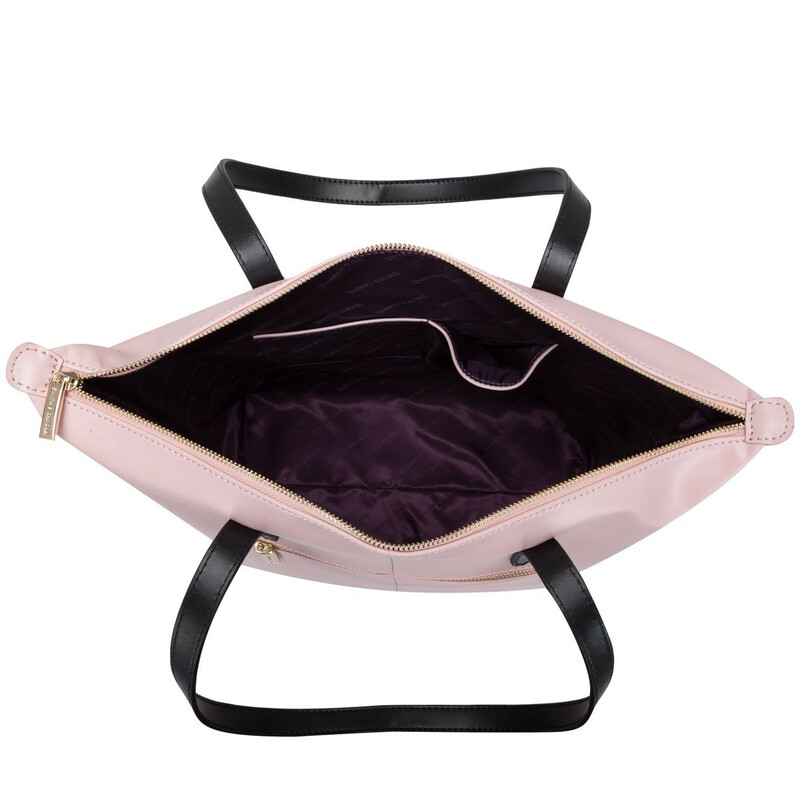 The zip top opening allows you to store your valuables safely. 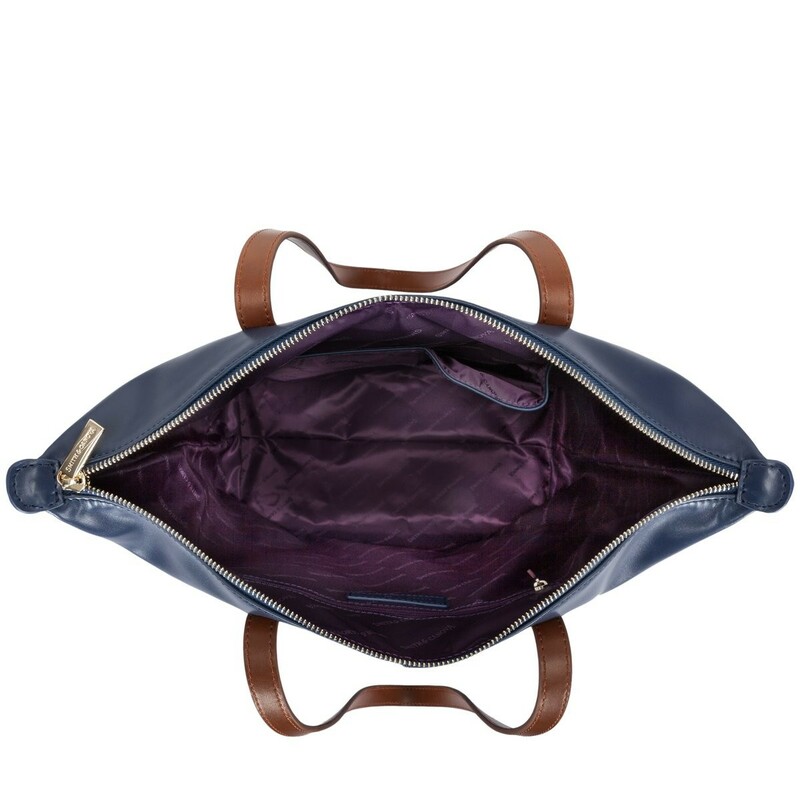 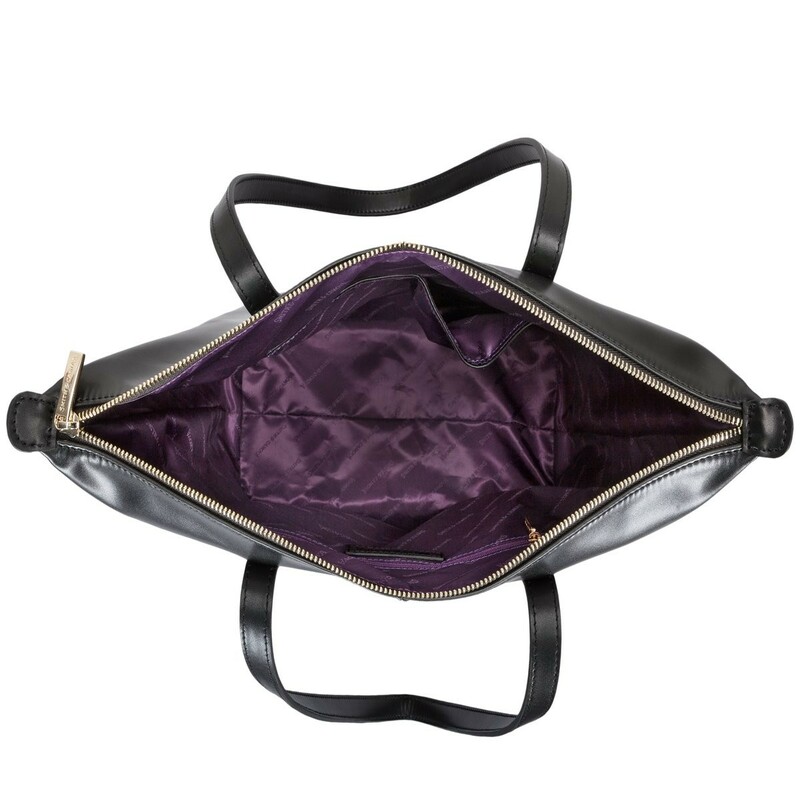 Inner slip and zip pockets and an external zip pocket, allowing you to keep your smaller items organised and secure.